Back in 1992, history was being made in Austria - the birth of the idea to start the Raiders (founded 1993). SWARCO RAIDERS have constantly been one of the best organizations in Europe. SWARCO is the two time back to back CEFL Champion (2017, 2018); and they're coming back in 2019 to defend the title. There was no American Football in Tyrol before 1992. Some young students were attending a soccer game and were kind of bored. They missed American Football which they knew from the town where they studied before. So Gerwin Wichmann and his friends decided to form an American Football team. There was no internet, no mobile phones, no social media. They printed some flyers which they spread around. On September 15, 1992, the birthday of the Raiders, a group of “greenhorns” met for the first time to discuss the founding of an American Football team in Innsbruck. After months of preparations, Gerwin Wichmann along with other people founded the Raiders. Only few of them knew about the rules, but they put a lot of effort into training and the sport, so they joined the Austrian American Football Association which is called AFBOE. American football has a long and successful history in Innsbruck since then. It happened that Gerwin Wichmann met Guenther Bangratz, who co-owned a restaurant chain. Gerwin told him about American Football and the brand new Club and convinced Guenther to sponsor the Raiders. From there the team got their equipment AND had a new name: AFC Papa Joe´s Raiders West. In their first year they won all games and were honored to be the „newcomer of the year“. 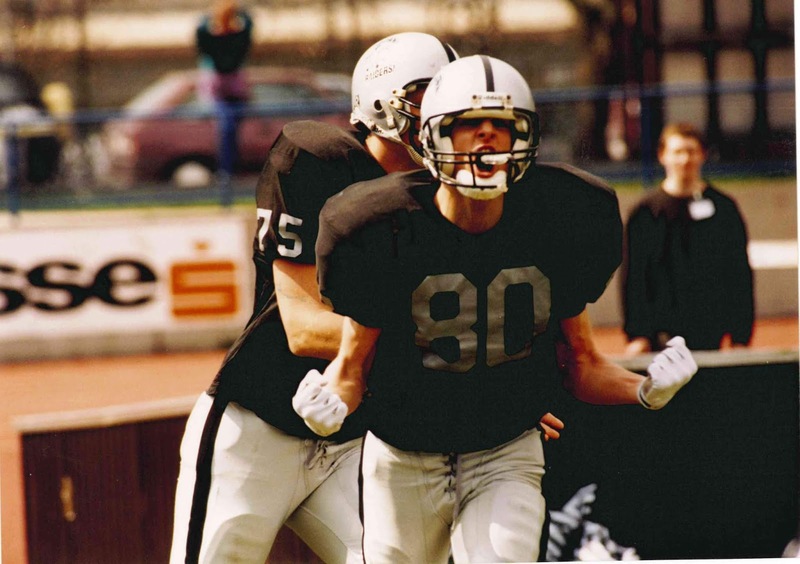 In 1997, the Raiders made their way up to the Austrian Football League, the highest division in the country. 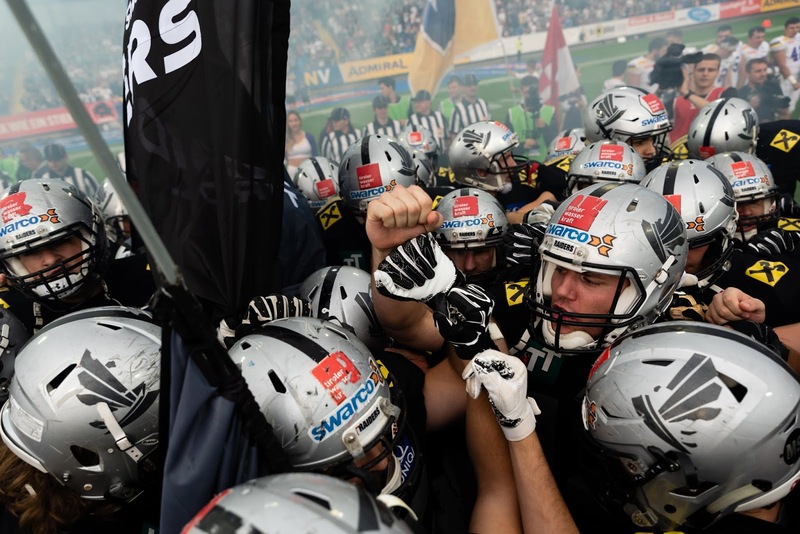 In their third season in the AFL the Raiders advanced to their first Austrian Bowl, losing 28-34 to Vienna in the final. The following year they participated in the European Football League (EFL) for the very first time. After another 2nd place finish in 2001, the Tyroleans finally won the national championship in 2004. They also won the EFAF Cup that year. The Raiders repeated that success in 2006, again winning the Austrian Bowl. It was the first season the team went under the name SWARCO RAIDERS Tirol. In 2008, it´s ten years now, Elisabeth Swarovski became the president of the SWARCO RAIDERS Tirol. They played two more times in the Austrian Bowl (2008, 2010), but had their finest hours in the 2008 Eurobowl, winning the European crown for the very first time. The Tyroleans repeated as Eurobowl champions in 2009. In 2011 they celebrated the team’s best season ever, winning the Austrian Bowl and the Eurobowl. 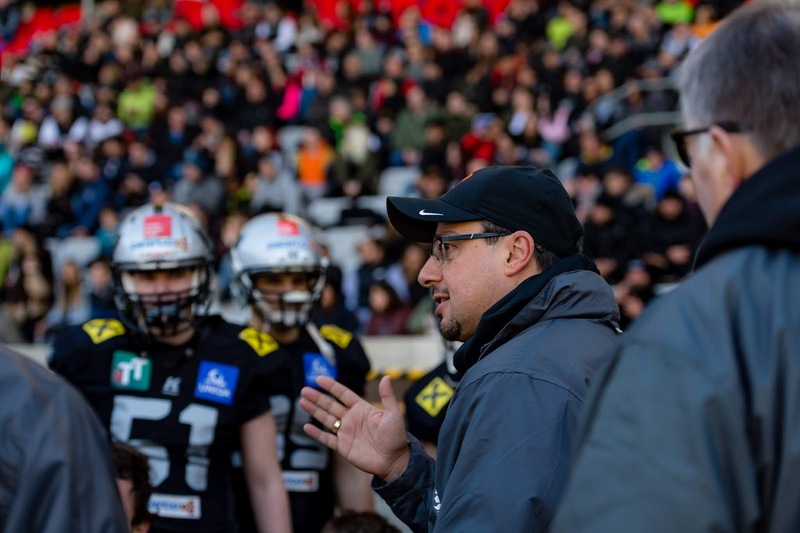 It was the first year under head coach Shuan Fatah, who led the Tyroleans to six more championship finals in 2012, 2013, 2015 in a historical 38:0 Win over Vienna Vikings, 2016 and 2018 in a thrilling 51:48 Win over the Vikings again. It is amazing that the training situation is pretty much the same now as it was in the beginning. Not the physical training, but - unfortunately - the training place. 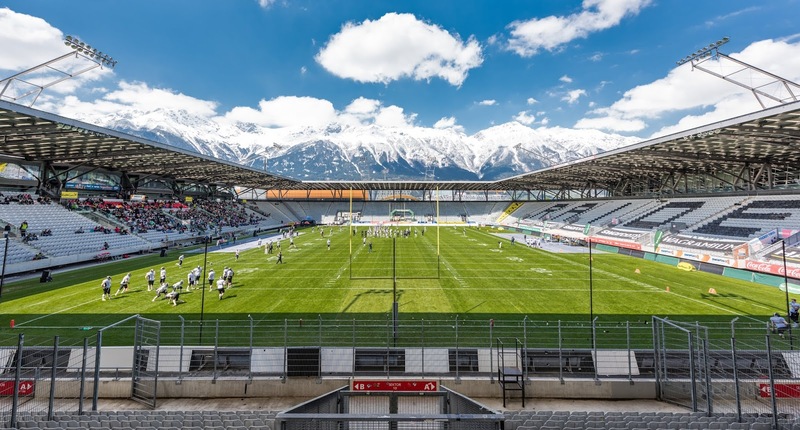 SWARCO RAIDERS Tirol will get their own stadium in Innsbruck. For about 15 years the Raiders management worked for this project. In the end the success not only in Austria, but throughout Europe and the effort the Raiders put into the youth programme convinced the politicians of Innsbruck and of Tyrol to make this project come true. The SWARCO RAIDERS Tirol are looking forward to giving the athletes the surrounding they need to train for the success. - and brand new: since October there is a Basketball Team too! After a big start in 1993, there was a very difficult year in 2003. The team only had 20 players left and it seemed the club could go down. Then the management made an important decision. They didn't go back, they went one step further: a second team was built. This team still exists and it´s called the SWARCO RAIDERS JV. JV stands for Junior and Varsity. It was just perfect because in 2004, the Raiders won the national championship! The SWARCO RAIDERS Tirol never rest, always work for success and fight ´til the end - 4th quarter last play - as Coach Shuan Fatah never gets tired to tell the players.